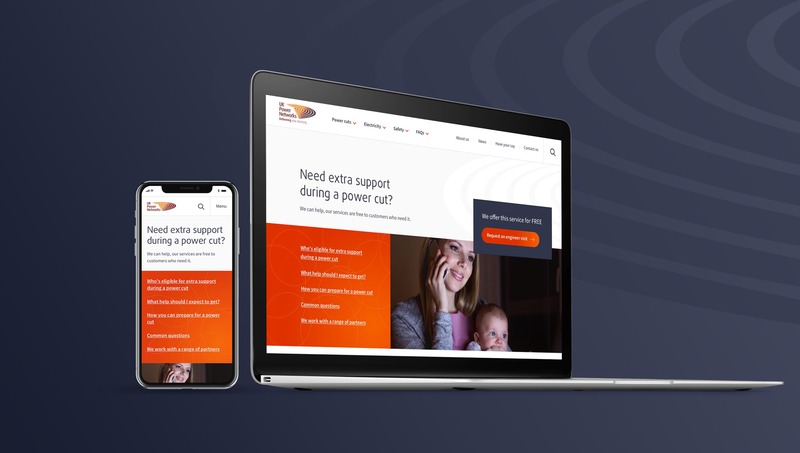 As UK Power Networks' digital partner, we're working to deliver a new responsive website that helps domestic and commercial customers request services and/or track a power outage situation. 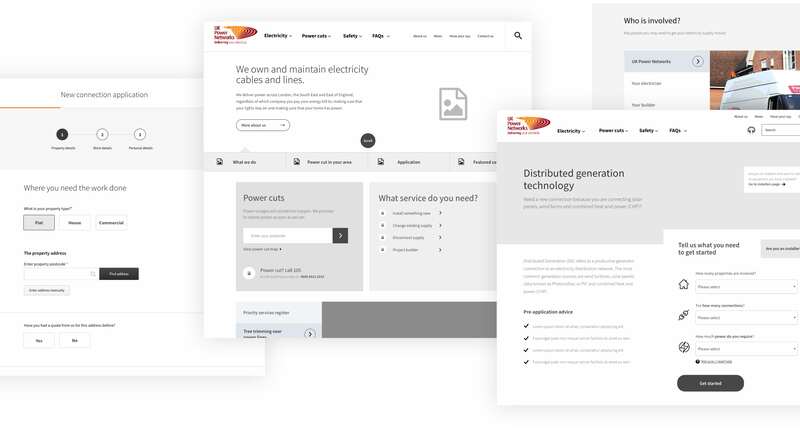 Following a thorough discovery phase where we established customer needs for initial key journeys, we applied service design thinking to provide a better digital experience when engaging with UK Power Networks. 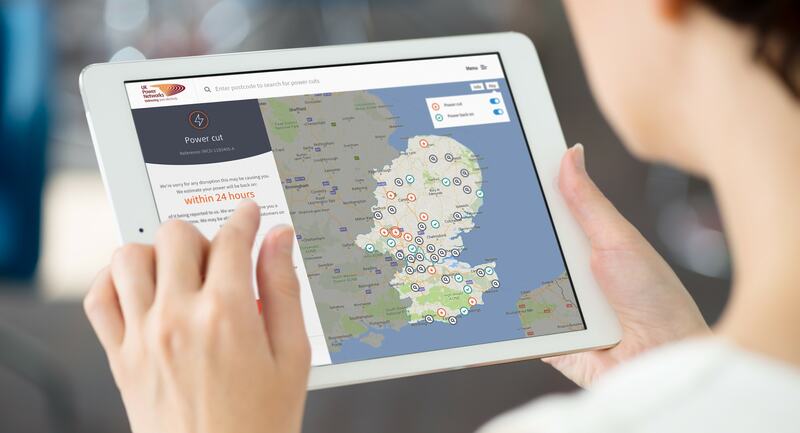 The AA accessible design includes a number of useful digital tools, such as a power cut map, a power cut live tracker and online forms. 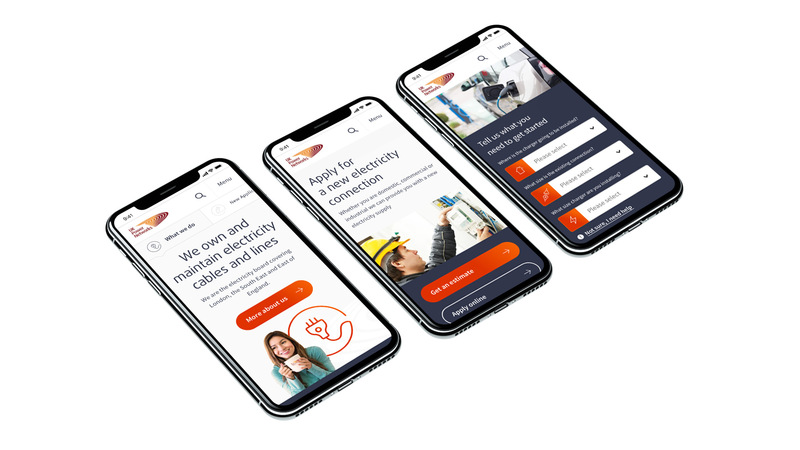 When it came to requesting a service, it became clear through our research that we had to provide very different journeys depending on prior customer knowledge and experience with the service. Commercial property developers for instance didn't need as much support as a domestic user requesting a service for the first time. We broke down each step of the online user journey and mapped out distinct customer flows for each group. The flows also built in logic that helped identify which form a customer needed to fill out - from a list of 25 - by simply asking 3 screening questions. 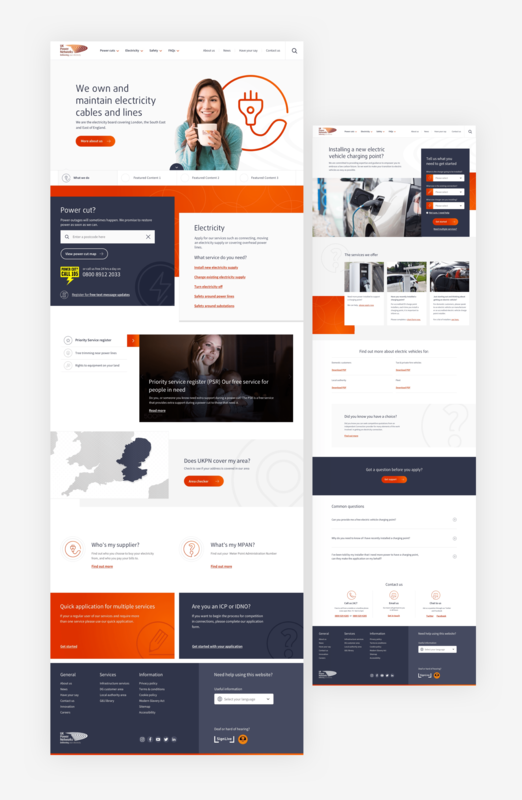 We created interactive wireframes that mapped out the full user flows, inputting content to conduct user testing and validate further requirements. 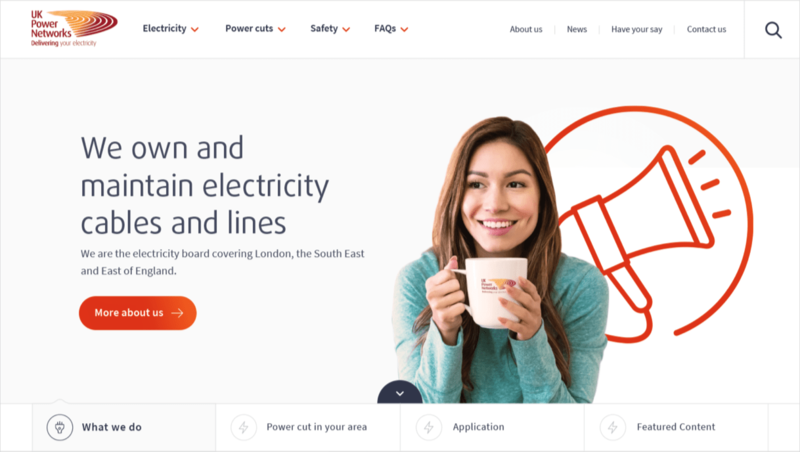 Having previously used dark colours and orange in its creative, we decided to inject some vibrancy into the UK Power Networks palette, experimenting with the use of iconography, illustration and asymmetric layouts before settling on our chosen design route. 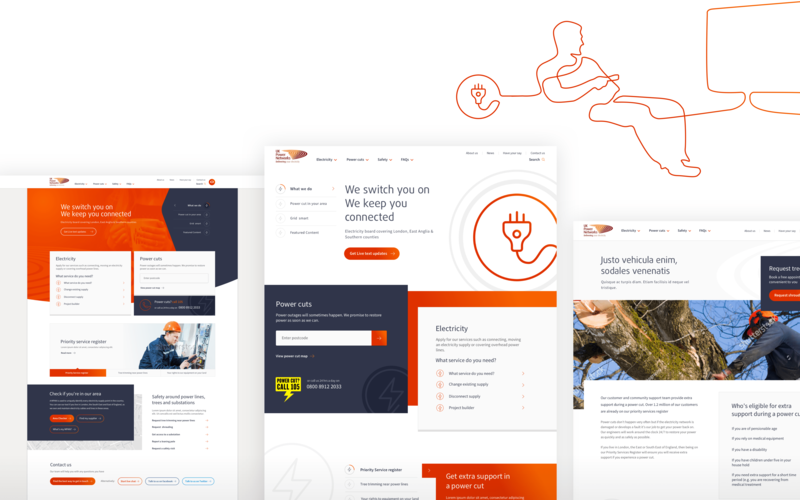 The utilities sector is not renowned for quality visual design, so it was our aim to design a responsive website that is as beautiful as it is useful. 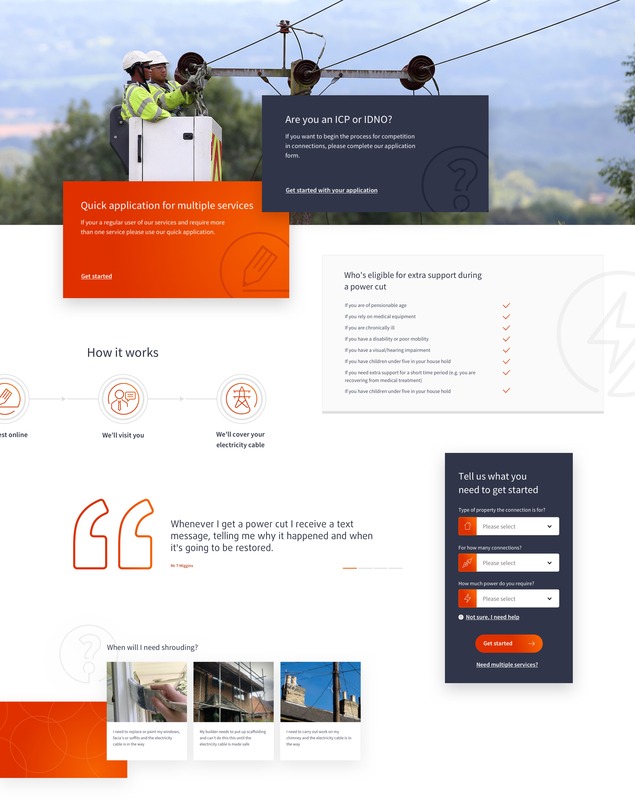 This was achieved through a contemporary layout, subtle animations, clear CTAs and a logical content hierarchy. Our comprehensive style guide outlines the grid, use of typography, colour palette, CTAs, iconography as well as paddings and margins. Getting these key decisions made and formalised enabled consistency of design both now and in future additions to the site.